유엔세계재활기구(UNWRO)_미국 제57대 버락 오바마 대통령, OFA's 세계역사관 계획. 2014년8월25일. 새만금관광특구 UNWRO CITY 330만평(A gate way+B gate way) “UNWRO CITY” 도시개발협약체결(초안). United Nations World Rehabilitation Organization (UNWRO)_Proposal of the United Nations World Rehabilitation Organization. 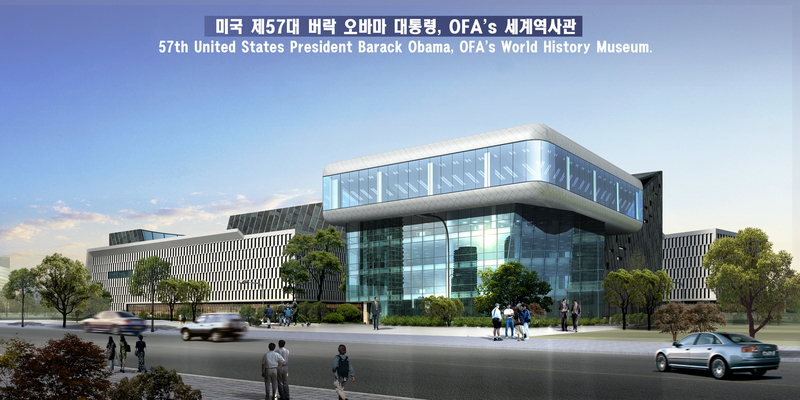 57th U.S. President Barack Obama, OFA's World History Museum plans. August 25, 2014. Saemangeum Tourism Zone UNWRO CITY 1090.9 ha (A gate way + B gate way) “UNWRO CITY” concluded Urban Development Convention (Draft). The United Nations World Rehabilitation Organization_Saemangeum Tourism Zone UNWRO CITY Construction Preparatory Committee.